Join us on a regular basis to build your independence, strength, fitness and friendships! Club Sargood makes it easier for those in the community with a disability to engage in fitness, and social and recreational activities. A Club Sargood membership gives you access to our adaptive gym equipment as well as our resort facilities including our huge range of adaptive sport and recreation equipment. The gym at Sargood on Collaroy is an inspirational place to exercise. 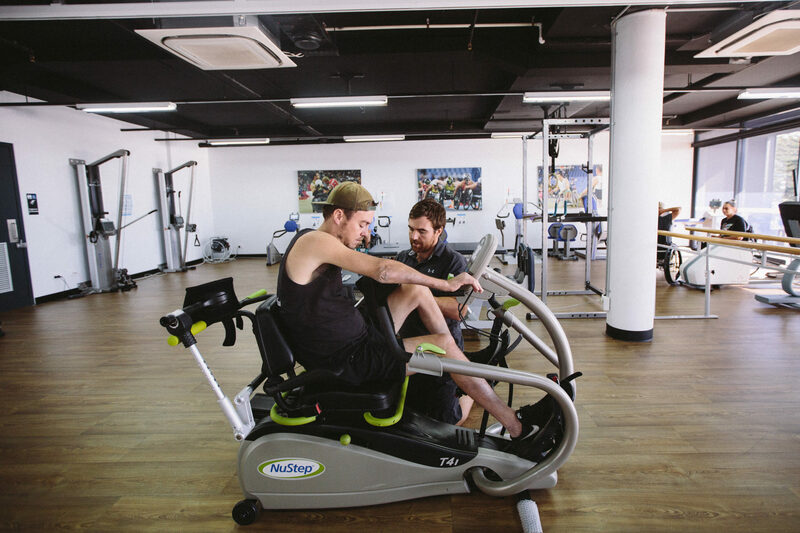 With beautiful ocean views, state-of-the-art adaptive equipment and technology, and guided support sessions with our highly trained exercise physiologists, you will be motivated to visit us on a very regular basis! What do I get with a Club Sargood membership? We have a huge range of adaptive equipment and technologies, including the leading Human Underarm Resistance (HUR) technology. The HUR machines have a U-shape design and advanced air pressure technology that lowers joint pressure, resulting in a safer, more effective exercise option for people with a disability. 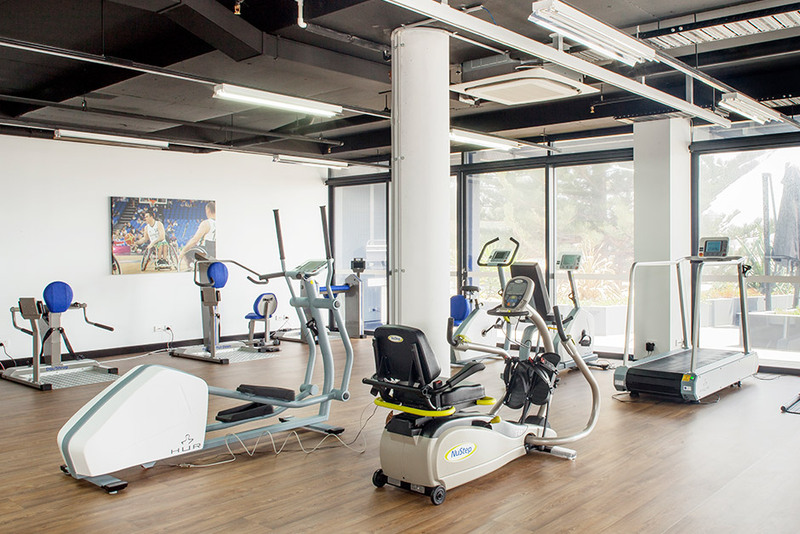 The gym is suitable for all abilities and levels of fitness, from experienced gym goers to new starters. We are open between 8am and 8pm every day. This includes lockers, accessible bathroom with ceiling hoist and change area, accessible kitchenette and community function areas. We have a qualified on site exercise physiologist available for one on one consultations. They will help you find the best way to maintain and increase your physical mobility and put together an individualised support and exercise program for you. Two sessions are included in your membership, and you can purchase more sessions if required. You may be able to access funding for extra sessions through the NDIS. 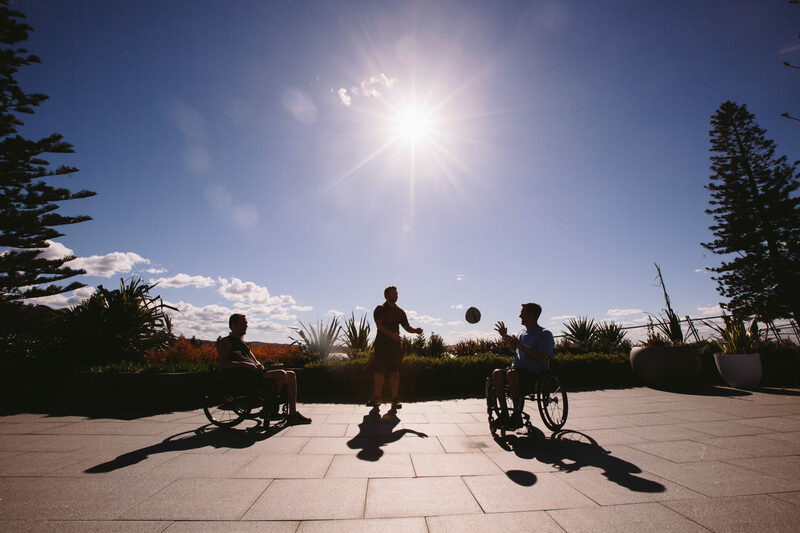 Discover unique and innovative adaptive sport and recreation activities at Club Sargood. 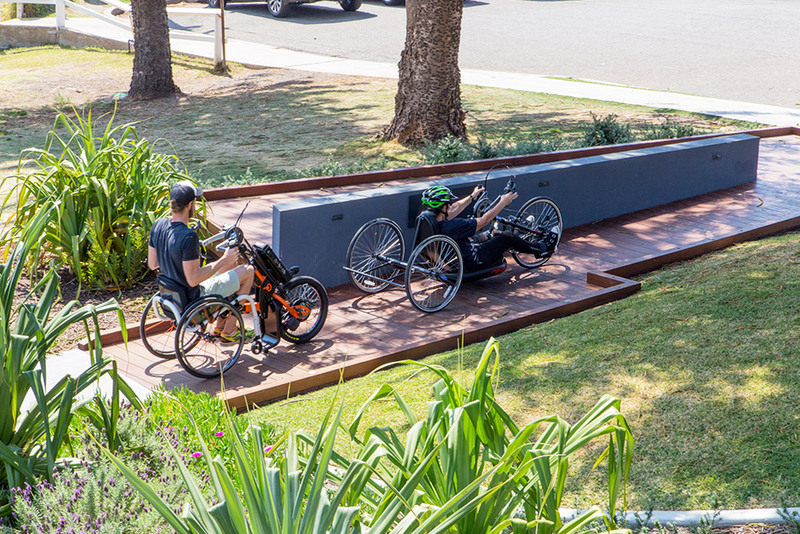 Get out and about and explore the extremely accessible precinct of Collaroy. An annual membership with Club Sargood is $1130. Additional sessions with an exercise physiologist are $148 per hour. icare participants can apply to icare for funding assistance both for a membership and additional one on one sessions with an exercise physiologist. Community, social and recreational activities 04_115_0125_6_1 n/a $1045 Club Sargood memberships have been specially designed to assist people living with a disability pursue recreational and leisure activities and engage in broader community participation particularly when the participant is at risk of being socially isolated. Inc. access to Level 1 hotel facilities and gymnasium between 8am and 8pm, access to adaptive recreational equipment* and all club Sargood member activities. Individual Assessment, Therapy and or training: exercise physiology 15_048_0128_1_3 $148 Individual advice to a participant regarding exercise required due to the impact of their disability. When creating your new plan or at your annual plan review, you may want to use our support letters to outline our services and how they fit into your NDIS plan. Sargood on Collaroy suggests you take a copy of our Club Sargood NDIS Support Letter to your planning meeting. We would also suggest contacting Sargood on Collaroy asking for a quote for your membership and/or exercise physiology sessions. For more information, contact your NDIS Local Area Coordinator / support coordinator or our bookings team on +61 2 8597 0600. Access to adaptive equipment: Access is subject to availability. Equipment must be booked with reception before use and is to be used for a maximum of 1 hour at a time. To see a list of our rec equipment, please click here. User competency: Before hiring any equipment a member must undergo competency training as per our hiring policy and procedure. Please speak to reception about organizing training. Any social events are organised by Club Sargood Social Committee. Access to FES stim Motomed: is not included in the Club Sargood memberships. Sessions can be booked with our exercise physiologist at $100 per hour + electrodes. Cancellation Policy: Sargood on Collaroy will negotiate with you any opportunities to reschedule supports/services before any cancellation fees are charged. If a scheduled appointment is cancelled within 48 hours the member will be charged the full fee for the cancelled service. If there are unforeseen circumstances or the member is able to produce a medical certificate, the cancellation fees may be waived. External trainers: Club Sargood members are able to bring their own support workers onsite to assist with their gym sessions at no extra cost. However, if you would like to work onsite with an external therapist or trainer, you will need to gain clearance from Sargood management. There will be a cost of $20ph for your trainer/therapist to come onsite, and they must be able to demonstrate registration and insurance. External trainers/therapists need to sign in, sign out and pay at reception. They are unfortunately not permitted to use the stim component of the Motomed.